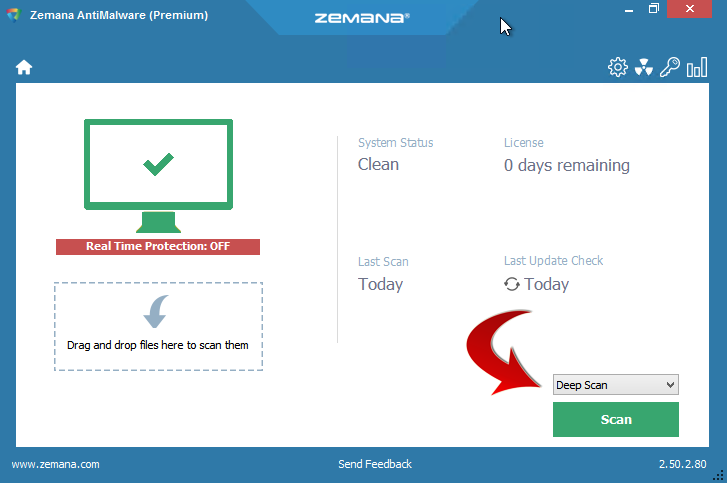 Google Chrome is one of the most popular browsers, and therefore also a popular target for installing adware and other untwanted extensions. 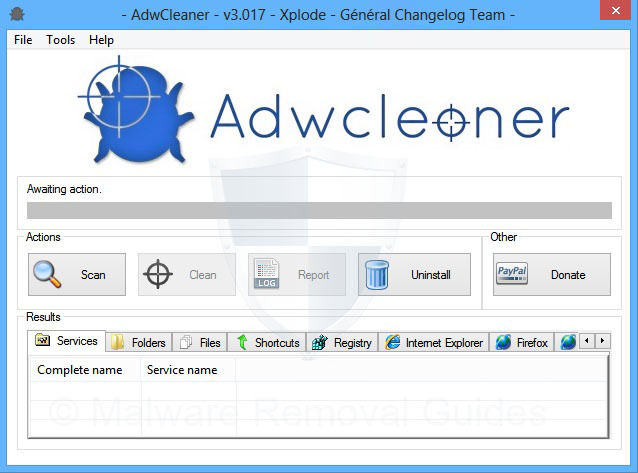 In this article “How to remove Adware from Google Chrome” we will explain how to easily remove any adware or Potentially Unwanted Programs from Google Chrome. Start Google Chrome and click on the option Customized and Control Google Chrome it is represented by a 3-Lines icon located at the top-right corner of the browser so as you can see on the screenshot below. Select now the option Tools, then, click on Extensions. It opens a window showing all the installed Extensions and plug-ins of Google Chrome. 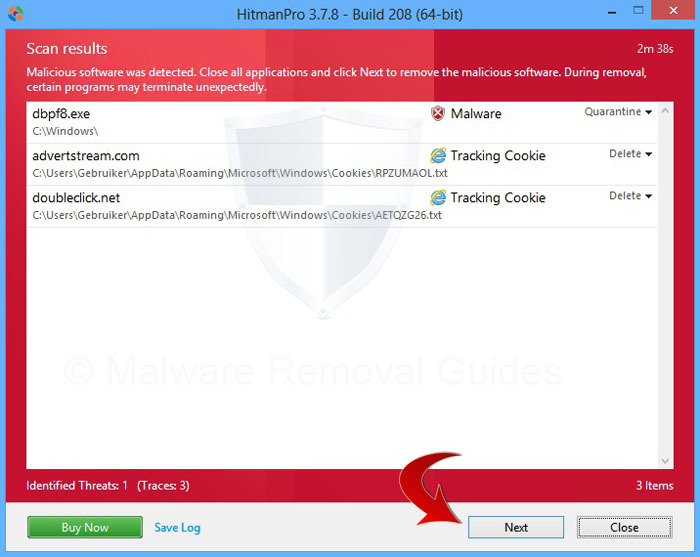 Locate adware or Potentially Unwanted Program and click the Trash icon to delete the malicious extension. On the left side menu, click on Settings to display current configuration of Google Chrome. Scroll down to the ‘On startup’ section with the option ‘Open a specific page or set of pages’ and click on Set pages. 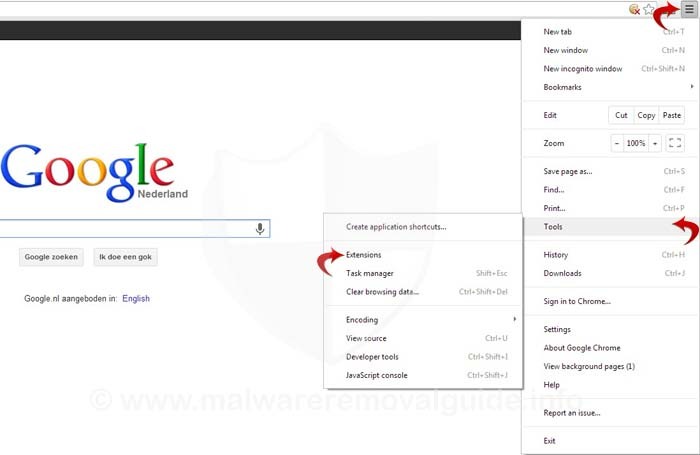 Click on the X button to remove the unwanted or hijacked startpage from Google Chrome. If there is only one startup page and the default startpage is removed, you should create a new preferred web address by clicking Add a new page and type http://www.google.com to set Google as your default startup page. Next scroll down to the ‘Appearance’ section. Put a Check mark on Show Home Button and click Change. Select then the ‘Use the New Tab page’ option. 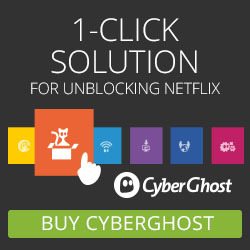 This will disable the new tab option from opening to adware. Click OK to save the current settings.